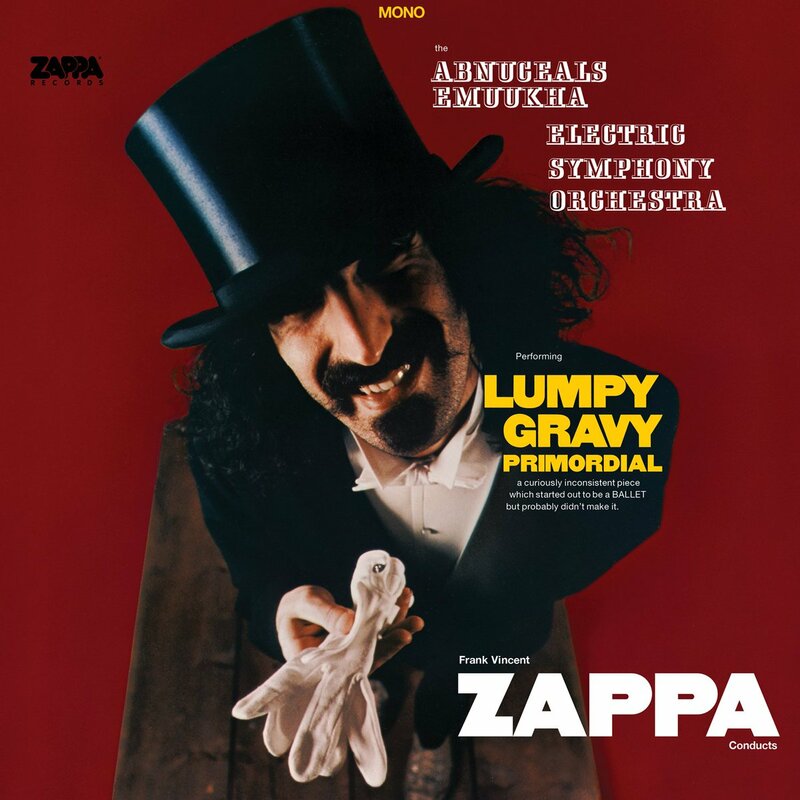 A limited edition 45 rpm LP pairing Frank Zappa’s “Lumpy Gravy” with “Primordial” will be released April 21st for Record Store Day. 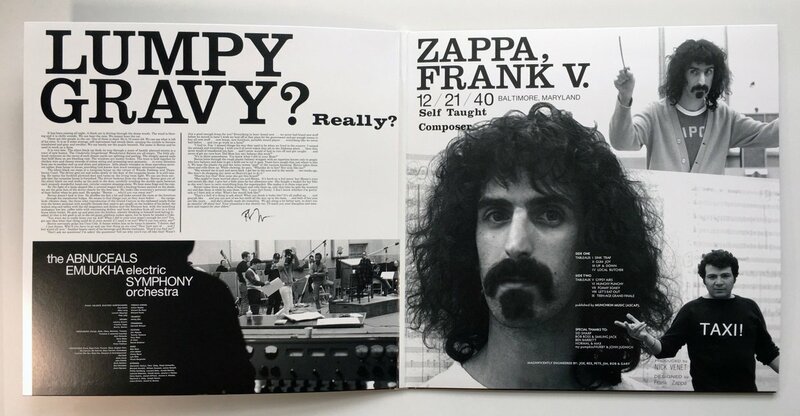 The flipside is Zappa’s first orchestral-only edit of 1967 Capitol Studios recording sessions, referred to him as a “ballet” and only previously released officially on 2008’s posthumous collection Lumpy Money. This release has been mastered from the original 1967 quarter-inch mono master tape. 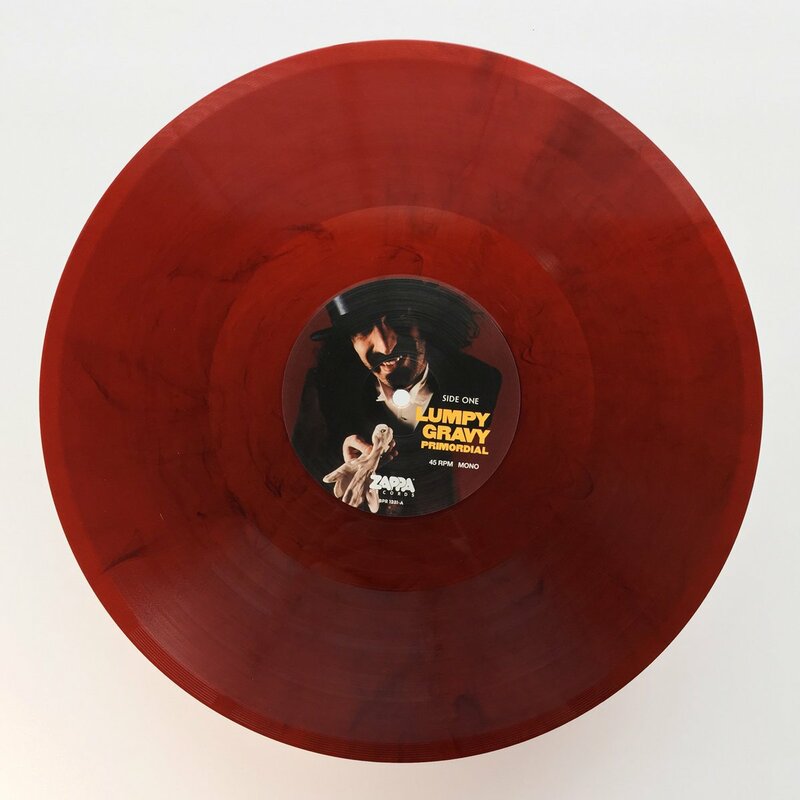 Zappa Records will press 4000 copies on translucent burgundy colored 12″ vinyl as a ‘RSD First’ Release in a gatefold album sleeve designed by Frank. The album cover, gatefold art and vinyl design are below, followed ny the tracklist.